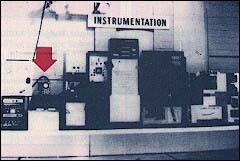 Video games were born in 1958 when U.S. government employee Willy Higinbotham created Tennis for Two using military equipment. This game was on display to the public in the Brookhaven National Laboratory in New York as a demonstration of technology. 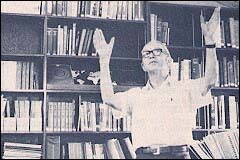 A decade later, Ralph Baer began work on what would eventually become the Magnavox Odyssey console. 1972 was extremely significant for sports games and video games in general. The Odyssey was launched with built-in ball and paddle games. Atari released Pong, the first commercially successful video game. 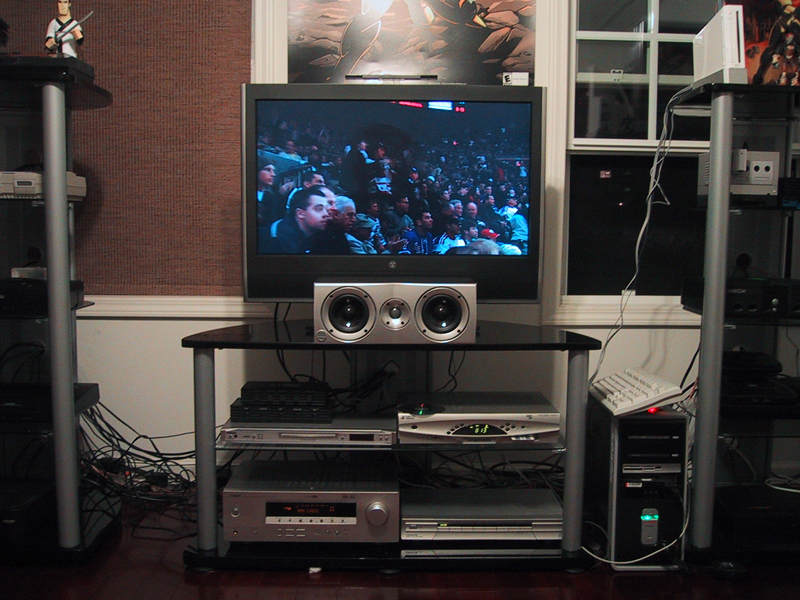 Sports were the most popular video game genre throughout the '70s. Pong was cloned by several manufacturers. These ball and paddle games would evolve into games with actual character sprites. Sports games advanced so much in the '70s alone let alone the '80s and '90s. I'm not going to attempt to list them all. This was just an introduction to the actual topic of the thread. By Futuristic Sports I'm referring to sports games with science fiction themes. This sub-genre of sports games has characters that are cybernetically enhanced, robots or aliens. I didn't include fighting games or pure racing stuff although some of those could be considered futuristic sports. 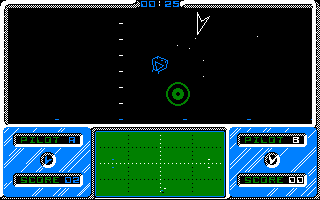 The first futuristic sports game although you wouldn't know it if it weren't for the name. Some kind of sports/war game mixture. 3d soccer-type game with vehicles. Neat stuff. Interplay released Ball Blazer Champions for the Playstation. Asteroids mixed with soccer. It's worth playing for a change of pace. Its 16-bit computer ports were named Blastaball. Being an olympics-style game, this fit in nicely with Epyx' catalogue. It was developed by Exxos, a company whose members would soon form Delphine Software. Robot football. It was ported to the Genesis. 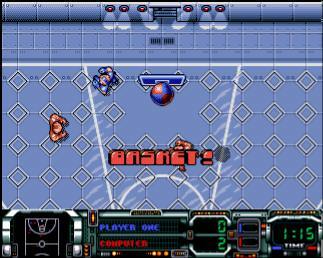 This awesome cyber-handball series became a huge hit on the Amiga. Sequels and versions are available on several formats from Genesis, to Playstation to Pocket PC. Air hockey lives on in the future. One of many great sports games on the Neo. It was ported to the Genesis. This is one of my favorite NES sports games. Spaceball 2000 - ?, Amiga, ? A lesser clone of Speedball. A forgettable first-generation SNES game. I don't if this counts as futuristic but it's worth mentioning. Mutant League Hockey came out the following year. I guess this fits the genre. A futuristic sequel to an an earlier arcade volleyball game. Not bad but it lacks the, uh, punch of Punch Out! It is possibly the coolest Pong-type game ever made. You compete in various events from what I gather. 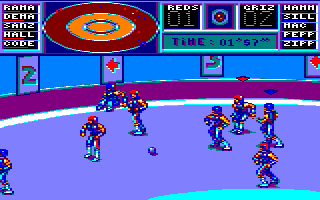 A 3d game that's supposed to be similar to Speedball. It was nice to look at but the game is rather dull. It's no Tony Hawk but it's playable. Speedball meets TRON without the fun. At least that's my impression from the demo. Thanks to TNL members, I got to play this on the OPM disc. It's not my kind of game but the visuals rock. I'm sure I missed some so any additions would be cool. What are your favorite ones? I enjoy Shuffle Puck Cafe very much. I dont think I have ever really liked ANY futuristic sports game. Not including racing. The Mutant League and Speedball games were the only real futuristic sports games I liked. DBZ was a blast as well. I like this genre, mostly because it features over the top arcade versions of certain sports which I normally find boring. Super Baseball 2020 was cool as hell, and the only baseball game I ever liked. Running around, and using the jump pads to grab high flys was fun. And I remember that Rocket Jockey game. I had the demo, but couldn't get it to run, maybe a blessing in disguise. Blast Chamber - I've always liked this game. And then's there The Grid, I don't remember if this was a Sport, or a Game Show like Smash TV. I suppose I'll mention Baseball Simulator 1.000 since there's a field in space. As we all know, in the future, everything happens in space. Besides the stuff already mentioned, I thought Milo's Astro Lanes (N64) was an interesting take on futuristic bowling. But it just can't compete with the king of wacky bowling, Monkey Bowling from Super Monkey Ball 2. Man I love Ball Blazer, that game is awesome, you can fire off the "ball" if someone is chasing you to push him back.... Awesome game.